Did you know, private/house gas lines after the gas meter on your property or place of business in Arizona are your responsibility to inspect, maintain and repair, not the gas companies? 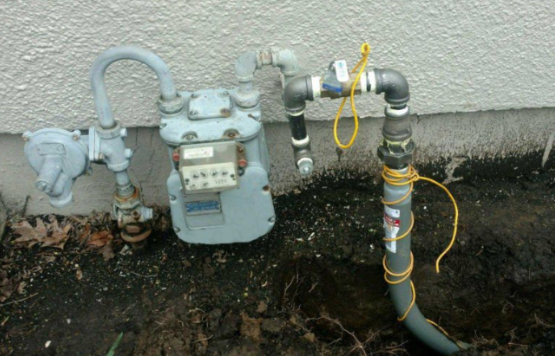 Most homeowners and business owners will be aware of whether or not there is a natural gas supply and meter to their home, but many do not know the number of and where the actual gas lines are located on their property, or if they are underground or above ground. In most cases, there will be a main gas line that services the house called a service line coming into the property to feed the gas meter. This is for the appliances in the property like a furnace, hot water and many more appliances. However, you will have another line on the property that is called a house like – a private line that is your responsibility, as the homeowner or business owner to maintain. If an unknown natural gas line leaks outside or inside a wall and you are not aware that the line exists, it can be very dangerous and potentially deadly. You could end up paying a large sum of money, not only for the leaked gas over time, but also to repair the leak. What causes house gas lines on a property to leak? One of the largest causes of leaking house gas lines is that they were installed incorrectly in the beginning by an unqualified natural gas contractor and excavation hits for in marked gas lines. Please call 811 before you dig. Many problems can arise from a unqualified or simply an inexperienced contractor installing natural gas infrastructure, such as incorrect material used, gas line installed without moisture protection measures and uneducated workmanship with natural gas fittings and procedures. How can you find out if you have any and how many gas lines are on your property? A natural gas meter on your property will be an indication of a natural gas line in the vicinity which most likely will indicate a gas line on the property that you will be responsible to maintain. Requesting a line locate from RP Gas will answer any questions about having natural gas on your property and what your responsibilities are associated with that natural gas line. If you suspect you have a secondary gas line that you want to investigate, do not dig! You must, as required by Arizona law, call Arizona 811 to mark any underground gas lines. It is a free service that must be completed before any type of digging begins. However, utility companies and local governments mark only what they own and operate. They recommend using a private company for private locating services. RP Gas can help with locating buried natural gas lines on residential and commercial properties in Arizona. Once the property has been “blue staked”— that is, marked to show where gas lines exist—you can conduct any projects that require digging, however, we highly recommend using a professional gas line installer for any investigating into your secondary gas lines. In summary, the responsibility is on the property owner to determine what is happening on their property. If you pay a gas bill and have a gas meter on your property you should know where your natural gas lines are located for Safety and Maintenance reasons. If you need help to determine where these lines are please call RP Gas today, contact us online.